The Public Charitable Trust Act, 1950 was enacted to enable private entities to set up charities that would serve the deprived sections of society. To encourage and incentivise such investments, the Act provided for waiver of income tax for such charitable insti­tutions. Historically, many seths (merchant capitalists) invested in setting up charitable hospitals. The initial trend was to build and equip the hospital and even provide working capital annually and hand it over to the government or the municipality to run it. Their only expectation was that the particular hospital should be named after a close relation. Thus many of the top public hospitals we have in Mumbai today, including the teaching hospitals, like the J J Hospital, Cama Hospital, KEM Hospital, Nair Hospital, and the two Bhabha Hospitals were established through charities and later became government or municipal hospitals.1 Apart from this, many small hospitals and dispensaries were set up by businessmen and their charities, by missionaries and other motivated individuals to provide healthcare to those in need. Post-Independence the trend changed. Bourgeois capital entered the fray and began to use the Public Trust Act to set up hospitals, instead of using the Companies Act, so that they could get the advantage of the tax waiver benefits. While a number of them began with being genuinely charitable, over time most of them have become hospitals for the use of the elite or those who can afford health insurance. The classic examples are the Jaslok, Breach Candy, Bombay Hospital, Leelavati, Hinduja, Nanavati, and Ambani Hospitals apart from others that no longer engage in any form of charity or follow the minimal provisions of the law for providing free services in lieu of the tax breaks. Thus their not-for-profit status needs to be challenged and all taxes that were forgone along with appropriate penalties should be collected from them. The Maharashtra assembly has rightly raised the issue of having the Economic Offences Wing (EOW) investigate the ­finances of these hospitals. Further, the issue is not only the tax waivers but also a host of other benefits they may have received like concessional land2 or a cheap lease rent, extra floor space ­index (FSI), concessional utility rates, waivers or concessions for other taxes like octroi, customs duty, etc. All these benefits add substantially to the surpluses of these hospitals. And if there is no charity forthcoming from them, it amounts to a huge economic and social crime that should be investigated. What is the economic loss to society due to this state of affairs? I have inquired into the finances of large public and private hospitals3 and found that on an average a multi-specialty hospital has a net expenditure between Rs 15 and Rs 20 lakh per bed per year (turnover between Rs 25 and 35 lakh per bed per year, the difference being their gross profit). 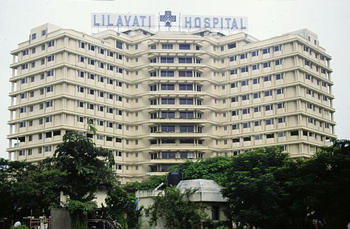 We have over 70 trust hospitals in Mumbai that have an estimated total of 10,000 beds. This means roughly a minimum turnover of Rs 2,500 crore per year and a gross profit of nearly Rs 1,000 crore across these hospitals. As for-profit ­entities such hospitals would have contributed Rs 300 crore in income taxes to the state exchequer. We know that these hospitals are exempt from taxes but there is a quid pro quo. They are obliged to ensure that 10% of the beds are free and another 10% are given on concessional rates to poor patients. The free beds in this case would mean 1,000 beds or an expenditure of Rs 150 crore and the 10% concessional beds would be at half the rate or an additional Rs 75 crore. Together this is much less than the taxes forgone by the state and if the land and indirect tax benefits are ­included then the loss to the state exchequer is much more. If we add up all the years of the non-compliance of trust hospitals to the legal provisions then we are looking at lakhs of crores which could have been added to the health budgets of the government. Civil society groups and health activists have been demanding that such institutions should be made accountable for over two decades now, including filing a public interest litigation to make these hospitals provide all benefits as mandated by the law of the land. The government on its part has been very lax and the concerned authorities like the charity commissioner and the income tax department have failed to monitor, audit and assure the rule of law with ­regard to these hospitals. The efforts of the government in response to the Bombay High Court orders to set up committees to review the situation and suggest action points or draft schemes to utilise these benefits have been piecemeal, and lacking in political commitment and ­seriousness. The committee set up under Ratnakar Gaikwad recently consists entirely of bureaucrats and is doomed to failure. The issue here, apart from the failure of the trust hospitals to comply with legal provisions, is one of the ­accountability of the government agencies and the government goes and ­appoints only bureaucrats on this committee! How can they be expected to be self-critical and take action against their own fraternity? Finally, the insurance-based Jeevandayi Yojana scheme of the government is in itself a questionable scheme, and the move to link it with the benefits due to the poor under the Public Trust Act provisions is problematic. The Trust Act benefits are in lieu of income tax waivers to these hospitals. If they want to be a part of the Jeevandayi Yojana then they should engage with the scheme independent of the Act. This scheme should not be confused with the 20% free and concessional beds which are due to poor citizens as a right under the Trust Act. The government too seems to be inclined to maintain the confusion. This is illegal and will further complicate matters relating to the uncharitable trust hospitals. 1 Government of Maharashtra (GoM) 1986, Gazetteer of India – Maharashtra: Greater ­Bombay District, Vol III (ed. K K Chaudhari), Gazetteer Department, Government of Maharashtra, Bombay. 3 Ravi Duggal (2011), “Financing the Cost of Universal Access to Healthcare”, mfc bulletin 348-50, August 2011-January 2012, pp 8-12. Ravi Duggal (rduggal57@gmail.com) is with the International Budget Partnership.